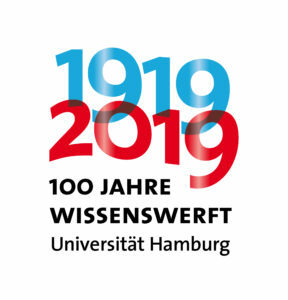 The international workshop Understanding Solidarity – New Challenges, New Approaches was organised by Andreas Busen (Universität Hamburg) and Stefan Wallaschek (BIGSSS, Universität Bremen) and took place in Hamburg from the 25 to the 27 of January 2019. The main goals of the workshop were to provide a forum for discussing innovative ideas and to facilitate the dialogue between experts in the field of solidarity working in different academic disciplines. Ervin Kondakciu, who wrote this report, is a Research Associate and PhD candidate at the chair of Political Theory at the University of Hamburg. The concept of solidarity has many non-necessarily tangent trajectories in history. 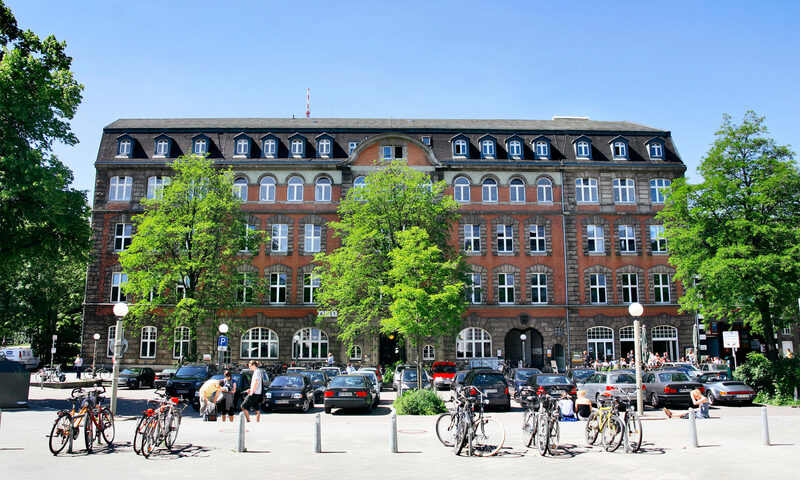 It constituted the unifying theme of the contributions presented at the international workshop Understanding Solidarity – New Challenges, New Approaches at Universität Hamburg. One can trace the concept in Roman law, in sociology and in the history of political movements of the previous two centuries. According to the organisers Andreas Busen and Stefan Wallaschek, first, this multiplicity of uses of solidarity is still present in recent political and academic discourses; second, its frequency of appearance in publications in various disciplines within the last decade has dramatically increased; and, third, most of these studies are not in a dialogue with one another. These three observations entail that bringing together academics from different disciplines embodies a considerable potential for theoretical innovation. The first panel discussed the topic of European solidarity. Marie Wachinger’s contribution identified the European ‘public realm’ as the proper locus for the realisation of what she termed ‘solid solidarity’, a wording that might need revision, if pleonasm is to be avoided. 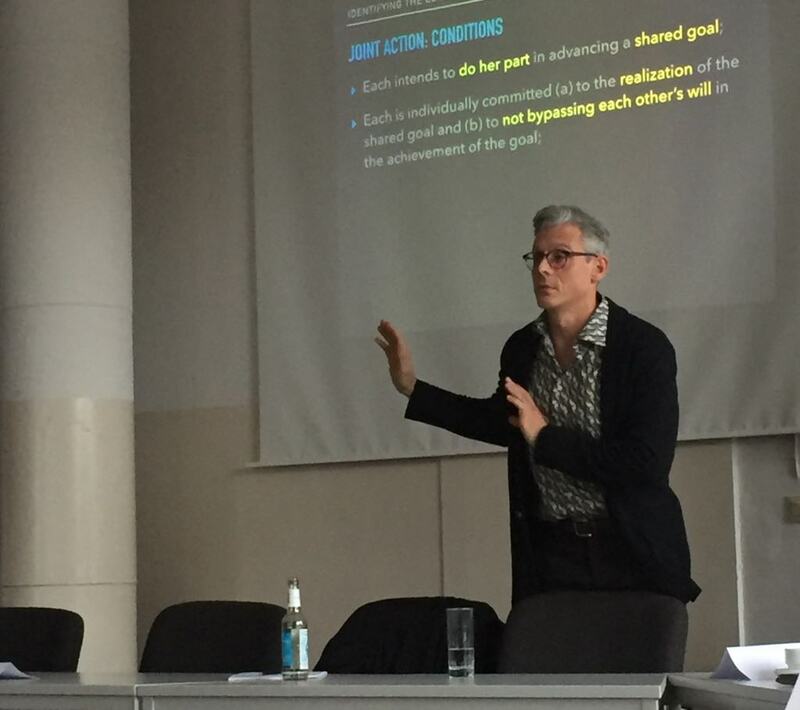 Wachinger offered an analysis of the dynamic relationship between the descriptive and normative conceptualisations of solidarity, and laid the ground for an Arendtian conception that views solidarity as a political virtue with the capacity to transcend individual interests within the context of the European Union (EU). Stefan Skupien’s contribution attempted to bring together Axel Honneth’s concept of recognition and Emile Durkheim’s concept of organic solidarity with the aim of identifying sources of solidarity between European workers. According to Skupien the ‘shared European cultural identity’, the common ‘democratic framework’, and the workers’ ‘recognition of each other as interdependent’ participants in the market economy constitute sufficient sources for the emergence of a European-wide lasting solidarity. He further identified trade unions as the proper actors of operationalisation of this kind of solidarity. Eleonora Milazzo addressed the ethics of ‘failing solidarity’ within the context of the so-called European refugee crisis. Milazzo conceived solidarity as co-responsibility at the institutional level, by virtue of past decisions to establish lasting cooperative structures. It was unfortunate that the workshop did not start with a panel dedicated to clarifying the multiplicity of meanings and uses of the term. The second panel was the first of two panels scrutinising the various conceptualisations of solidarity. Georg Kanitsar examined whether solidarity could be conceptualised within the conceptual framework of rational choice theory (RCT). He built four types of solidarity using the terminological armoury of RCT and concluded that for solidarity to be conceivable within this paradigm some of its primary assumptions would have to be modified. Andreas Busen applied a reverse methodology. He started from an analysis of public discourses and proceeded by scrutinising and reconstructing public speech acts. He observed the emergence of a third type of solidarity that he termed political or democratic solidarity, which is similar to yet different from the two traditional types, that is, solidarity among and solidarity with. To elaborate, Busen maintained that acts of political or democratic solidarity emanate from a commitment to post-foundationalism and pluralism and have epistemological value, in that they function as ‘reminders of the contingency of existing interpretations and ideals’. The discussant of the panel, Andrea Sangiovanni rightly pointed at the difficulty to distinguish Kanitsar’s conception of solidarity from altruism and wondered whether Busen’s ‘post-foundational’ solidarity does not dissolve into a substantialist combination of the first two types when push comes to shove. Julia Weiß and Anne-Marie Parth presented a paper on the links between solidarity and social trust in times of crises and the responsiveness of local bureaucracies. The value of their aim to suggest possible ways of preventing solidarity from eroding in times of crises notwithstanding, it was not clear how their conception of solidarity is to be distinguished from social trust. Carlo Burelli kicked off the third panel with a talk aiming at discovering the relationship between legitimacy and solidarity, by emphasising the latter’s link to social and institutional stability. Burelli started from a Weberian conception of legitimacy but understood solidarity in a way that eventually made it difficult to distinguish it from consent. Francesco Tava’s contribution was a heuristic of problems in the uses of solidarity with regard to its definition and to its connection to identity issues and themes of justice. He proposed using solidarity as a facilitator of problem-solving in cases of collective action. However, again here it was not crystal-clear how one is to distinguish solidarity from cooperation and how Tava conceptualises and employs the concept of a problem. Pierre-Etienne Vandamme presented the results of his preliminary literature review on the relationship between solidarity and justice, this is, solidarity as part of justice that he associated with Axel Honneth, solidarity as a supplement to justice that he associated with Rainer Forst, and solidarity as an attitude conducive to justice. The fourth panel took up the theme of the interplay between the concept of solidarity and recent instances of migration. Morgan Lans defended the thesis that there is a tension between exclusion and inclusion built-in or inherent in the concept of solidarity that is revealed by the migration waves. Nevertheless, not enough was done to corroborate the claim that this tension is essentially inherent in the concept of solidarity and not a reflection of systemically, historically, and culturally embedded tensions in the rhetoric of important contemporary political actors. Stefan Wallaschek’s contribution was a statistical analysis of the discursive modes in which powerful political actors shaped the meanings of solidarity during the so-called European migration crisis. He concluded that one can observe a minor yet important shift of the focus from ‘transnational cultural solidarity’ before the so-called crisis to ‘intergovernmental political solidarity’ during the crisis by analysing data from Die Welt and Süddeutsche Zeitung. On the interpretative level, though, Wallaschek could have done more to explicate his statistical findings. The same applies to the last participant of this panel, Leslie Gauditz, who presented interviews with no-border activists both in Greece and in Germany. The fifth panel approached the topic of transnational solidarity. Felix Anderl presented his Post-Doc project on how the global as an imaginary category (Castoriadis) influences the epistemic qualities of movements such as the Global Justice Movement and thereby structures the practices of solidarity. Anderl’s fascinating project involved bringing together ideas from social movements studies, postcolonial studies and authors as diverse as Cornelius Castoriadis and Hauke Brunkhorst. Ann-Kathrin Reinl presented the results of a public good game experiment conducted in Thessaloniki, Greece aiming to explore the effects of forced transnational solidarity on internal cohesion. The conclusion Reinl reached was that solidarity with an outside group harms the cohesion of the in-group, especially when the outgroup is a ‘hated one’. However, it was not clear how Reinl defined and measured solidarity and social cohesion insofar as donations and punishment were used almost interchangeably with solidarity and non-cohesion in her analysis of the experiment. Lea Lösch presented some preliminary observations from the research she is conducting on the topic of transnational solidarity. Lösch is researching the behaviour of Germans without a Greek migrant background involved in social clinic initiatives in crisis-ridden Greece. The last panel considered new theoretical and empirical perspectives on solidarity. Alexander Struwe’s contribution proposed a Marxist perspective on solidarity. Struwe defined ‘communist solidarity’ as ‘acting together on the basis of an identification with a concrete universality’ and argued that such a form of solidarity offers a path to ending all social oppression and towards emancipation. However, insofar as not all social oppression can be causally attributed to capitalism, which constituted the concrete universal form of social totality for Struwe, it remains unclear how this type of solidarity could counter forms of oppression not causally related to capitalism. Selin Çağatay presented her empirical research on the dynamics between feminist movements in Southern and Northern Europe. She emphasised the struggle of a feminist initiative in Turkey but blurred the distinction between solidarity and support in her account, as was pointed out during the discussion. Christopher Starke presented the results of his content analysis of four German newspapers with regard to the uses and meanings of the term solidarity when employed in journalistic articles. Starke was also interested in the different uses of the term in left- and right-leaning newspapers. Assaf Rotman analysed from a sociological perspective the social justice movement of 2011 in Israel and argued that one could observe the emergence of a new type of solidarity, this is, segmented solidarity, in the modes of participation of diverse social groups in the movement. The challenge for Rotman’s approach lies in defining the yet unclear advantages of the use of the term ‘segmented solidarity’ in comparison to concepts such as opportunistic or strategic alliance. Finally, the workshop included two public lectures by leading academics in the field of solidarity. Donatella della Porta presented a detailed analysis of the dynamic interplay between social movements related to the ‘contentious moves during the long summer of migration’ and solidarity. During the long summer of migration, she observed the development of social movements in solidarity with the refugees that were not isolated from them but in communication. Her main motivation and theoretical interest of this study was, first, bringing together the traditions of social movement studies and critical citizenship studies, and, second, inquiring into the critical juncture of the refugee crisis. The research followed the migration routes through different European countries and employed concepts such as political opportunities, the inclusiveness and exclusiveness of citizenship, the relation between neoliberalism and migration, the importance of advocacy and networking, and the relation between hegemonic and counter-hegemonic discourses. Della Porta explored the emergence of a dynamic concept of solidarity that was continuously reworked, revised, redefined and reemployed in hybrid forms of solidarity with and solidarity among by social movements acting in a multilevel context characterised by the intertwinement of local, national and transnational factors. Andrea Sangiovanni shed light with his contribution on many of the misunderstandings of solidarity at the conceptual level and presented a distinctively descriptive account of solidarity. He defended a unified conceptualisation of solidarity by employing the methodology of vindicative genealogy. Sangiovanni argued that any successful account of a concept should do at least two things. First, it should be distinctive, or, in other words, the concept of solidarity should be clearly distinguished from other concepts, such as justice, charity or benevolence, and, second, the account should be connected to the history of the concept. After observing the emergence of solidarity in the 19th century as a reply to the problems related to the collapse of the Ancien Régime and the emergence of capitalism and the commercial society, he advocated a negative methodology in inquiring what solidarity is. To elaborate, Sangiovanni maintained that the proper way to move forward is by examining what solidarity is not. He proceeded by scrutinising five influential traditions within which solidarity plays an important role. The point of reference in this endeavour were thinkers such as Léon Bourgeois and Émile Durkheim, the tradition of socialism and liberal nationalism, Christianity and 20th century social movements. Sangiovanni defined solidarity as a special form of joint action premised on the willingness to share another’s fate that requires a recognition of mutual dependence, which in turn triggers weighty reasons to engage in action and leads to symmetrical and omnilateral political relationships. This is a report with the intent to document, summarise, and constitute accessible to a larger audience the ideas, arguments and theses presented in the framework of the workshop. The goal of engaging in an evaluative commentary process is only, if at all, minimally served. For the sake of completeness, I have to mention the Roundtable: Interdisciplinary perspectives on solidarity, during which Alexia Katsanidou, Marianne Kneuer, Marius Hildebrand and Stephan Lessenich engaged in a productive discussion and brought together ideas and perspectives from different disciplines. Vorheriger BeitragZurück Podcast: Kai-Uwe Schnapp zu Quo vadis Bundespolitik? Möchten Sie regelmäßig über die neuesten Blogeinträge per E-Mail informiert werden, tragen Sie sich gerne in den Newsletter 100×100 ein. Etwa alle vier Wochen erreicht Sie dann eine kompakte Übersicht mit allen Einträgen aus dem vergangenen Monat mit Links auf den Blog zum ausführlichen Weiterlesen.